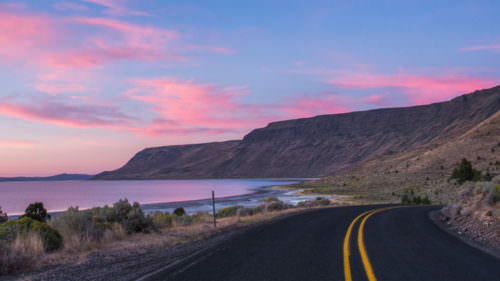 Far off the beaten path, this 127-mile/204-kilometer eastern byway ventures out among Steens Mountain and the Alvord Desert, linking to three other tour routes for an austere and awe-inspiring look at Oregon’s Wild West. Before interstates and cell towers seemed to link every rural corner of America, there were places like this, where you could gaze out across an unbroken horizon, hear every birdsong and fall asleep under a bowl of dazzling stars. The High Desert Discovery Scenic Byway indeed takes you to such a place, then ups the ante with some serious geologic drama. From desert to mountain, this is Oregon’s frontier country. Bring a pioneering spirit and enjoy the adventure. The density in this part of Oregon is less than one person per square mile, on par with Alaska. Burns, the county seat and largest community in Harney County, has its roots in ranching, which remains the region’s mainstay. Needless to say, this is the spot to stock up on fuel and supplies before heading south on OR-205. Ahead lies the 187,757-acre Malheur National Wildlife Refuge, an oasis of wetlands and lakes that suddenly appears amid stark mesas and dry grasslands. Numerous creeks and rivers carry snowmelt down from the surrounding high country, feeding its three lakes — Malheur, Mud and Harney — along with vast marshes and meadows. It creates an extensive marsh system that attracts an enormous array of birds and other animals. It’s considered one of the top bird-watching areas in the Pacific Northwest and is an important breeding ground and migratory rest stop on the Pacific Flyway. Spring is the most spectacular season, when snow geese and other waterfowl gather in such numbers that they can actually darken the sky. 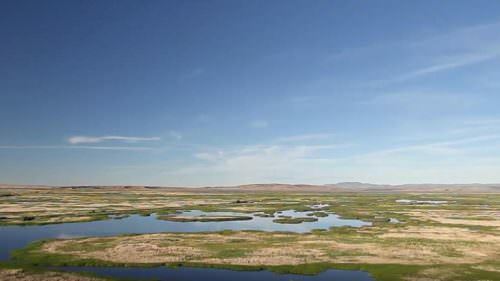 The Narrows-Princeton Road leads east to the refuge’s headquarters, where the visitor center staff will happily provide tips on the best places to view wildlife, and an observation deck provides a good vantage point of Malheur Lake. The adjacent George Benson Memorial Museum has exhibits and historic taxidermy mounts of many of the birds spotted here. Traveling south on the byway, you’ll continue to skirt the marshes and meadows of the refuge. Jackass Mountain rises to the west, and the Diamond Loop Tour Route departs off to the east, visiting the Diamond Craters Outstanding Natural Area lava formations and the Peter French Round Barn. The historic community of Frenchglen is named for Dr. Hugh Glenn, a successful rancher, and Peter French, an employee and eventual son-in-law of Dr. Glenn’s, sent north from California to expand their cattle operations. The brash French alienated plenty of local homesteaders as he grew the French-Glenn Livestock Company into one of the largest spreads in the West. In 1897 he was fatally shot over a fence dispute; his killer was quickly acquitted of all charges by a jury of settlers. Several buildings associated with the ranch survive, including the Round Barn and the 150-by-50-foot Long Barn east of town at the P Ranch. Downtown, the 1924 Frenchglen Hotel originally provided overnight accommodation for stockmen visiting the ranch to purchase cattle. It was remodeled by the Civilian Conservation Corps in 1938 and remains open today, providing lodging and family-style meals March through October. Frenchglen provides access to the Donner und Blitzen River, which offers excellent fishing for redband trout, a subspecies of rainbow trout indigenous to the high-desert region. 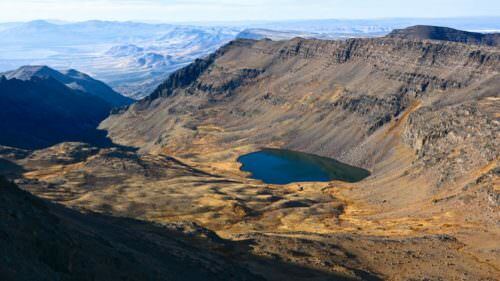 Fish Lake Road leads east into the Steens Mountain Wilderness and the Steens Loop Tour Route. The byway continues south on OR-205, paralleling the Catlow Rim, part of the Steens Mountain Wilderness. You can sometimes spot bighorn sheep and the region’s wild horse herds along this stretch of road. Descended from domesticated horses that escaped from Native Americans, pioneers and 20th-century ranchers, these free-roaming horses are now managed by the Bureau of Land Management. After traveling through the Catlow Valley past several private ranches, the byway concludes in Fields. 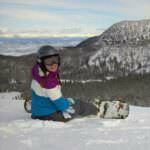 This small ranching community has gas and other services, and is the departure point for the East Steens Tour Route. Order a free Oregon Scenic Byways guide, or view a map of the High Desert Discovery Scenic Byway online.